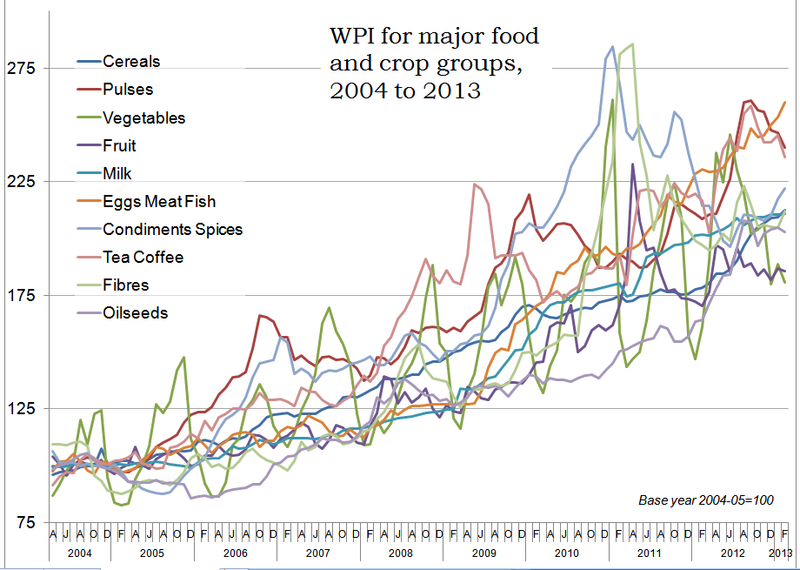 This chart traces the trends of the wholesale prices of ten major food and crop groups in India. The data is from the Office of the Economic Adviser to the Government of India, which is a part of India’s Ministry of Commerce and Industry. 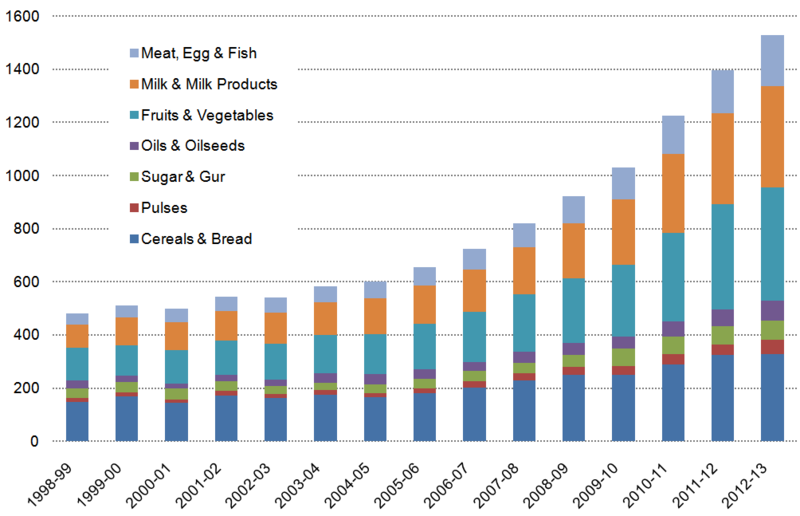 The eggs, meat and fish group has accelerated from about mid-2009, rising fairly steeply for about a year-and-a-half and then steadily thereafter. 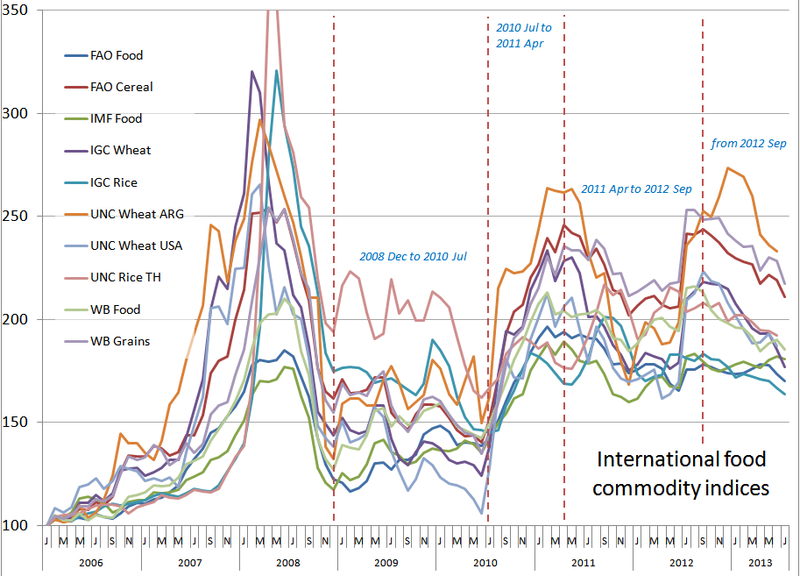 The vegetables groups shows the distinct cyclical nature of prices, with nine peaks erupting from a steady upward trend (the last being in mid-2012). 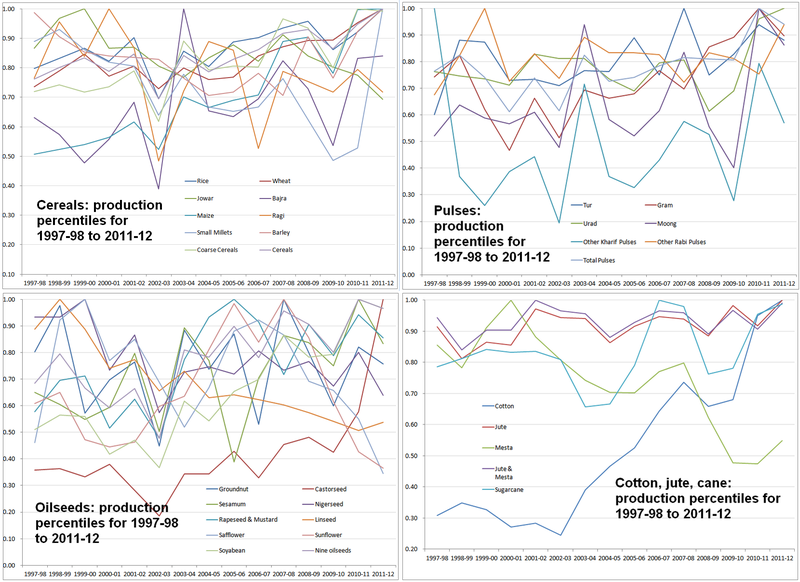 Cereals, pulses, oilseeds and the cotton-jute-cane group – these charts show how production of these major crop groups has varied relative to their maxima for the 1997-98 to 2011-12 period. Rice 103 million tons. Wheat 90 million tons. 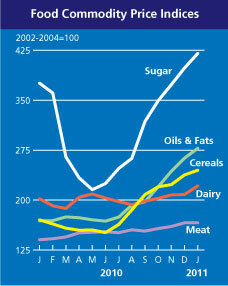 That is the cereal base of the ‘third advance estimates’ of foodgrain production in India for 2011-12. 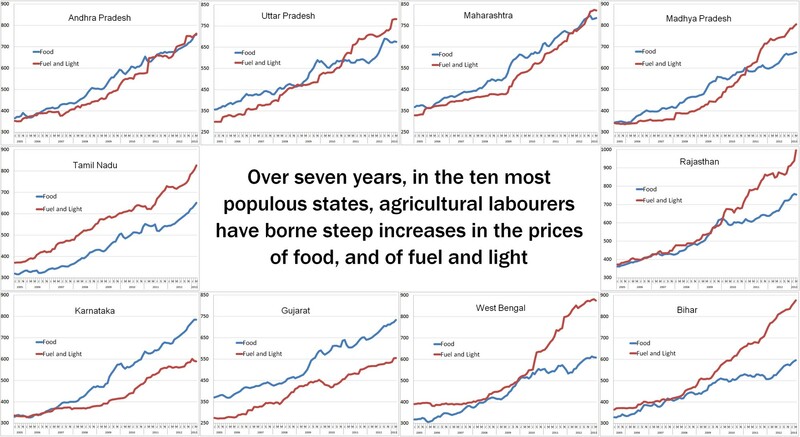 The data has just been released by the Indian Ministry of Agriculture’s Department of Agriculture & Cooperation (it is the Directorate of Economics & Statistics which compiles and releases the numbers). Going by the third advance estimate numbers for major crops, the rice estimate is just over the 102 mt target and the wheat estimate is 6 mt tons above. 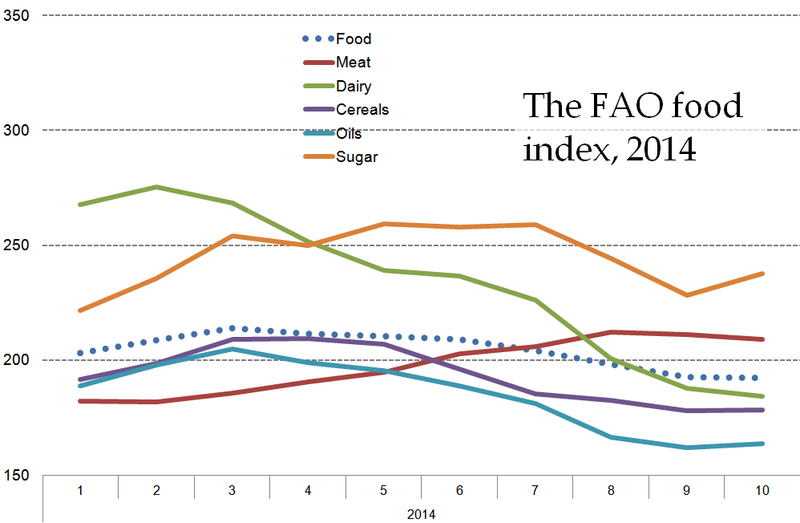 At just under 42 mt, the estimate for coarse cereals (jowar, bajra, maize, ragi, barley and small millets) is at the target level. 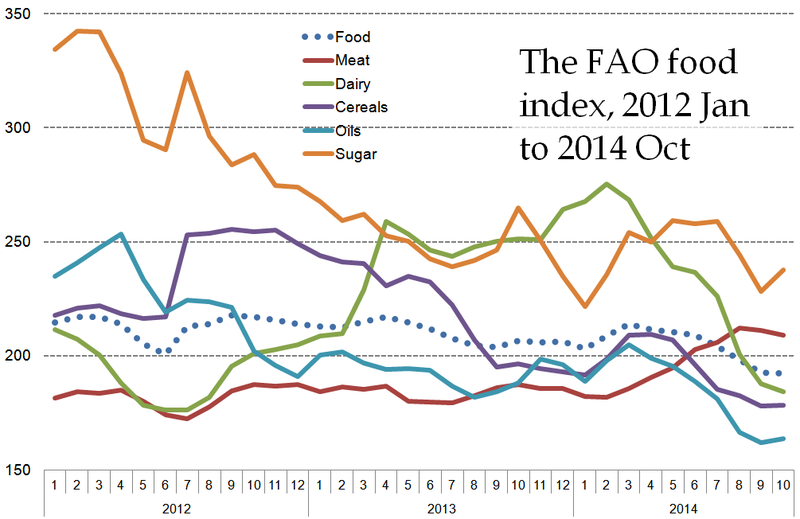 Total cereals is 235.54 mt, about 7 mt over the target for the year. Total pulses (tur, gram, urad, moong, other kharif and other rabi) are estimated at 17 mt which is also on target. 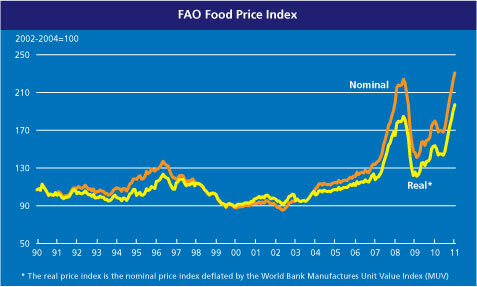 That gives India’s foodgrain an estimate of 252.56 mt for 2011-12 – it was 241.5 for 2010-11 and was 218.2 mt for 2009-10 (against a target of 239 mt). 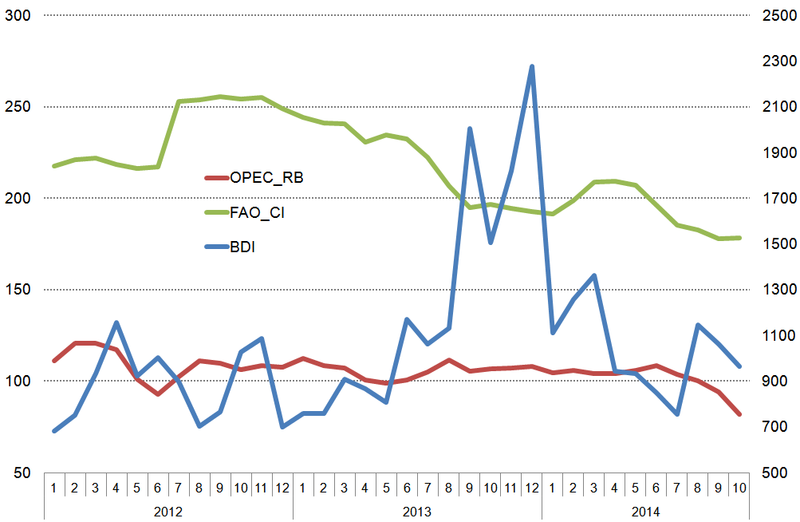 For commercial crops, the third advance estimates for the group of nine oilseeds (groundnut, castorseed, sesamum, nigerseed, rapeseed and mustard, linseed, safflower and soyabean) is 30 mt which is shy of the 33.6 mt target for 2011-12. 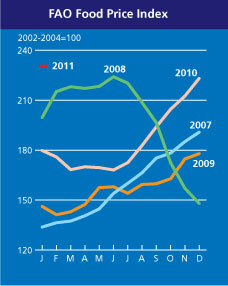 In comparison, the 2010-11 target was 31.1 mt for the group of nine (target 33.2 mt). Converted to mt from bales, the advance estimate for cotton is 5.98 mt (target 5.78 mt), for jute and mesta just over 2 mt (target 2.,2 mt) and sugarcane 351 mt (target 350 mt). 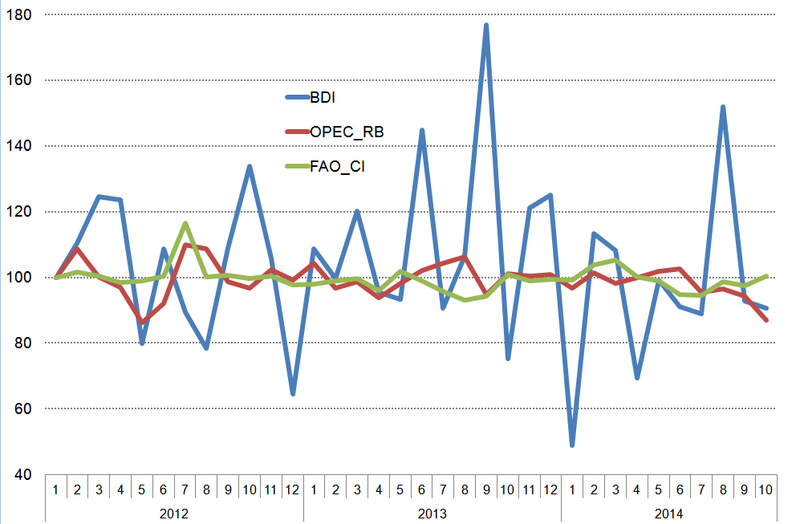 This set of charts does not show how production has grown (or not) for the crops covered by the advance estimates series. Rather, it bases each crop on the maximum production recorded for the period 1997-98 to 2011-12 (the third advance estimates for this year) and shows how production of a crop in all the other years in the series matches the series maximum. 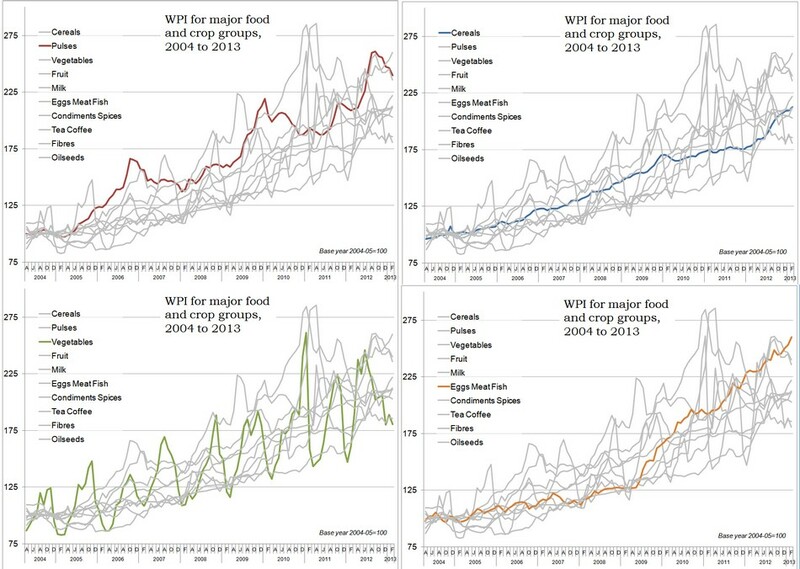 This method gives us a very different view from the usual government-ministry line which tends to show (if not to provide data for) a steady upward trend.